Football in Lebanon is a curious thing. Both a unifying forces and a potential spark for sectarian violence. 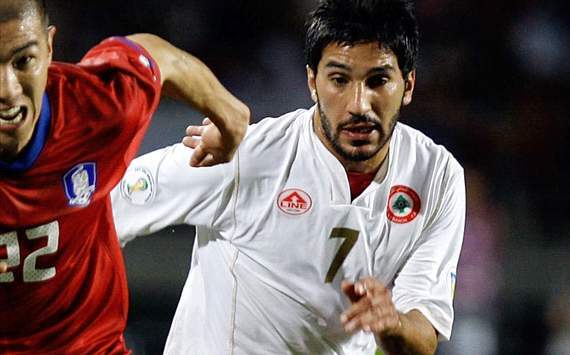 When Lebanon faced the UAE in their final group match in the third qualifying round for the 2014 World Cup, the country came to a standstill. Pupils were given the day off school, shops closed and the bars were packed. With the opportunity to qualifying for the final round for the first time in their history, the entire population congregated around television sets. However, this is a country where there was an entire stadium ban on the domestic league for six years, stretching from the aftermath of the assassination of Rafik Hariri, until 2011 when the Lebanese government, inspired by the success of the national team, overturned the decision. Following the crisis in 2005, the government banned supporters from attending matches in the domestic league, due to a fear that club rivalries would descend into a full-scale armed conflict. In Lebanon, the majority of clubs are financed by political parties and are linked to specific religious confessions. 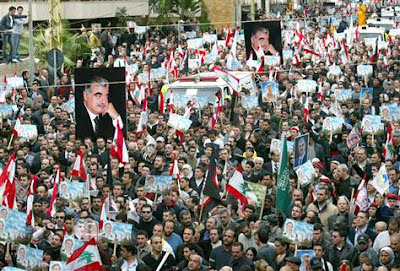 For example, Al-Ahed is backed by Hezbollah, while Al-Nejmeh and Al-Ansar were closely linked to the assassinated former Prime Minister, Rafik Hariri. Christian majorities tend to support La Sagesse and Salam Zgharta, while Shabab al Ghazieh is a Shia Muslim side, while Safa Beirut is linked to Druze party politicians. These tensions have often broken out into violence, with players and coaches as well as fans targeted. Just one example was that in 2007 where Al-Nejmeh’s Hussein Dokmak and Hussein Neim were killed in a roadside bombing on their return from training. However, the recent upsurge in the national team’s fortunes, combined with the lowered sense of tension in the country as a whole has seen fans allowed back into the stadia, and the new season has been greeting with record crowds as people flock to see live football once again. Three events will mark the rise of the Lebanese national team from the ashes though. The first was the decision to appoint Theo Bucker as the coach of the national side. The German, who enjoyed a successful playing career in his homeland has coached a number of teams around the Middle East in Egypt, Saudi Arabia, Libya and Kuwait. Often compared to his countryman, Otto Rehagel, who led Greece to the European Championships, he has brought a professionalism and tactical nous to the Lebanese team that they have never had before. 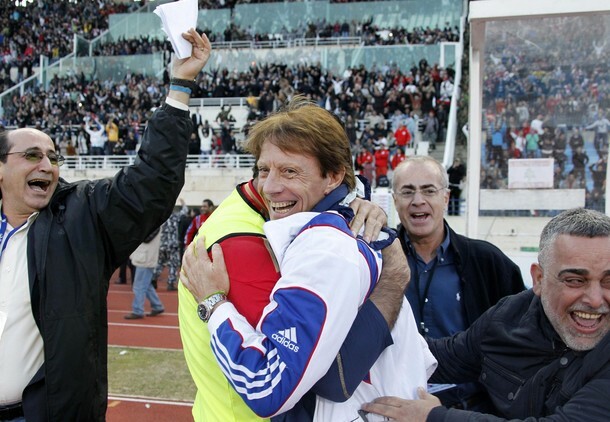 However, the biggest boost that Bucker has brought was his success in coaxing Youssef Mohammad and Roda Antar, two former Lebanese national team captains, back into the fold. Mohammad, a former captain of FC Koln in Germany, and Antar, who enjoyed many successful years in the Bundesliga with Hamburg, Freiburg and FC Koln, have been instrumental in the success of the national side over the past twelve months. The second event was their stunning 2-1 victory over Asian powerhouse, South Korea. Coming into the match, Lebanon were on the back of several impressive results including a 3-1 victory over the UAE and a 1-0 victory against Kuwait. However, nothing had suggested what was to come. In front of over 40,000 fans at a packed Cite Sportive, Lebanon did not simply sit back and defend – they tried to play good football. Inspired by captain, Roda Antar, they came out of the blocks flying. Five minutes in, Ali al-Saadi had the ball in the South Korean net, sparking delirious celebrations amongst the home supporters. However, Koo Ja Cheol would soon equalise from the penalty spot and it looked as though everything was back to normal. The Koreans had beaten Lebanon 6-0 in Seoul six months earlier, and it seemed only a matter of time until they took the lead. It appeared, though, as if nobody had told Lebanon the script. On the half hour mark, Mahmoud al-Ali was brought down in the area, and Abbas Atwi stepped up to restore Lebanon’s lead. In the second half, the expected barrage came. Ziad al-Samad in goal was magnificent, as were his defenders – Walid Ismail, Ahmad Zreik and al-Saadi. However, Lebanon were able to hold on for a magnificent victory and move to second in the group and within touching distance of a historic place in the final qualifying round. The third event was the culmination of this part of the campaign. Despite losing 4-2 to the UAE in their final group match, South Korea’s victory over Kuwait guaranteed the Cedars’ a place in the final round of qualifying for the first time in their history. The recent success of the national team has brought a number of local-based players to the attention of foreign scouts. 21-year old holding midfielder, Haytham Faour, inspirational in the victory over South Korea, has been linked with several French teams. Hassan Maatouk is another who is receiving rave reviews. His record of 13 goals in 24 appearances for the national team is comfortably the best of Lebanon’s strikers, and his record of 89 goals in 120 matches domestically shows that he knows how to score goals. He currently plays for Ajman in the UAE, where Maradona has described his as one of the league’s outstanding players. Linked with Dortmund and a host of French sides, a move seems likely in the summer. At only 24-years old, he has plenty of time left to improve. While, in Lebanon, the Premier League continues to be the most talked about topic, the national team and the resurrection of the domestic league means that Lebanese football is beginning to come back from the ashes. With thousands flocking back to domestic matches following the lifting of the ban, violence has thus far been pleasantly absent from proceedings. The political situation is Lebanon is notorious for its ability to descend into conflict in an instant. However, for now, it appears that football is doing its part to unite a country, divided by ethnic and religious differences. The success of the national team has provided an inspiration to grassroots football in Lebanon, which in turn is doing its part to bring people together peacefully. While there is a long way to go, the beautiful game could be set to help heal the wounds of many years of war and conflict in Lebanon. Laura Trott: Star of the London Olympics? Ana Ivanovic - Heading Back to the Top?